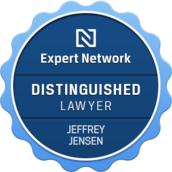 Jeffrey W. Jensen is a Milwaukee, Wisconsin, criminal defense attorney with thirty-two years experience defending some of the most high-profile criminal cases in southeastern Wisconsin. Jensen handles cases at both the trial court level and on appeal. He is admitted to appear before the Wisconsin Supreme Court, the United States Court of Appeals for the Seventh Circuit (Chicago), and the United States Supreme Court. Having defended in excess of one hundred homicide cases, few Wisconsin attorneys have more courtroom experience than Jensen. Jensen was the attorney for Theodore Oswald in Oswald's 2005 retrial. Some of Jensen's other noteworthy cases include State v. James Earl Jackson, in which Jensen defended a charge of first degree reckless homicide. The trial was broadcast nationally on Court TV. 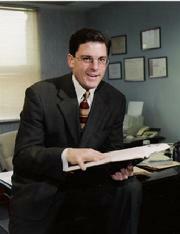 Jensen defended the recent case involving the shooting death of a Miller Brewing Company executive from South Africa. Additionally, though, Jensen has handled hundreds of criminal appeals. Some of Jensen's more noteworthy cases are: State v. Ernst and State v. Missouri. Jensen publishes The Jensen Defense, a companion website dedicated to news, developments, and resources for Wisconsin criminal defense. Jensen was a Court TV commentator during the Frank Jude trial in 2007.